The concept of this novel is really right there in the title and the cover image, not a lot more to say than that. 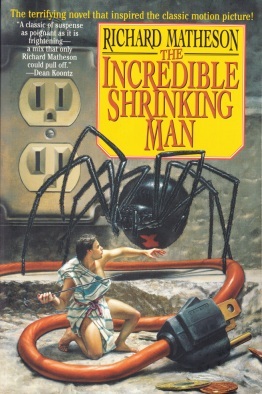 The story alternates between the protagonist’s days in the cellar when he is smaller than a spider, and flashbacks from earlier days, when he started shrinking from his original six-foot-two height. The novel takes up about 2oo pages, and the rest of the book is filled out with a collection of nine stories, the most notable among them being Nightmare at 20,000 Feet, Duel, and Button, Button. Richard Matheson is, in my opinion, an excellent second-tier writer. It may be a bit mean to say, but even at his best, it’s like there’s something slightly missing, or perhaps all of his events and plotlines are just a bit too transparent. He’s somehow much more suited for film and television adaptations, maybe because the visual element and the input of others adds flesh on the bone, and ambiguity to the simplistic. I’ve read a couple of other Matheson novels, Hell House and I Am Legend, and I think that this one is the best of them. There are some very poignant moments, especially when the protagonist shrinks down to the point where he can be victimized by adults and children alike. My favourite sequence is when he meets a female midget at a circus, and they find a lot in common between them, but of course there’s also the big difference in that she has always been and always will be that size, while he was tall and will continue to shrink. I thought the stories were of hit-and-miss quality. 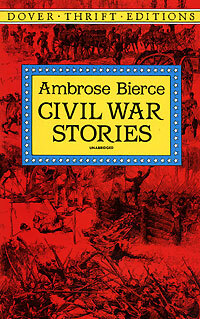 Ambrose Bierce was a young man during the American Civil War, and enlisted in fighting for the Federal forces, with whom he participated in many bloody battles. These experiences likely went a large way to forming the cynical and jaded views he carried through the rest of his life, and he came to be known by the nickname ‘Bitter Bierce’. The 16 stories in this collection are mostly of the sort that occupy a middle ground between truth and fiction – they’re based on the author’s first-hand experience, but shaped and fleshed-out to fit the needs and duties of art. Thoughts on some of the stories: “What I saw at Shiloh” begins the collection off with a very vivid description of troops maneuvering and engaging the enemy on the battlefield. “Four Days in Dixie” follows the story of some northern soldiers who sneak over to the other side to spy, and then have trouble making their way back. “A Horseman in the Sky” not only contains the vivid imagery of the title, but introduces a theme that gets repeated in many of the other stories, where a soldier finds himself fighting and killing his closest relatives. The famous “An Occurance at Owl Creek Bridge” is here too, which touches on the slightly fantastic, a world that Bierce would explore in some of his stories collected elsewhere. The last story, “The Mocking-bird”, ends things off with some very poetic imagery of dreams and nature. 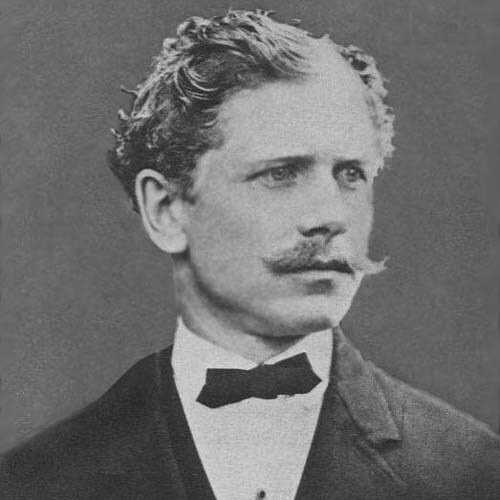 Bierce is an excellent prose writer, bringing the reader into the story by relating things in a matter-of-fact tone. The main weakness of this collection is that some of the plots and events do repeat themselves from story to story. Also, occasionally I felt hindered by my lack of knowledge of both Civil War history and military terminology. On the whole, I think I prefer Bierce’s supernatural stories.